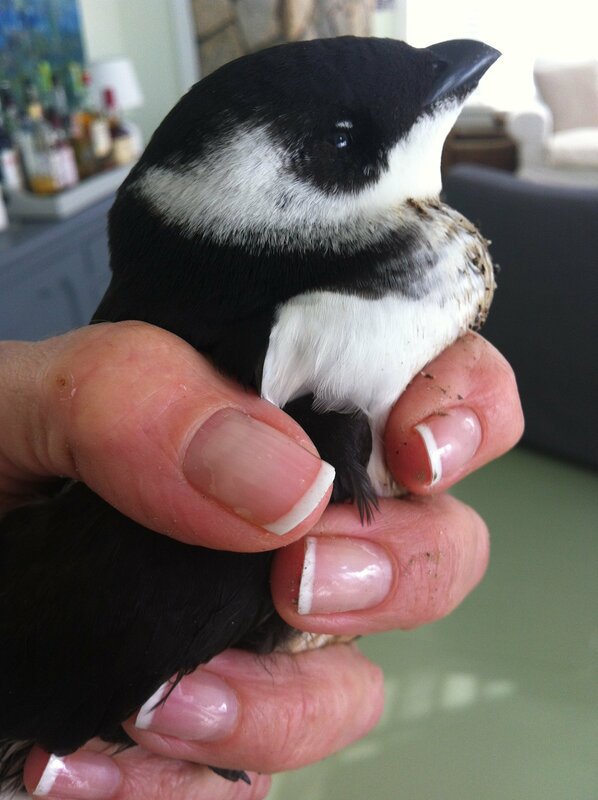 Last sunday, after a winter storm with high winds and heavy rain, a friend mentioned she had found a small injured bird in the middle of a paved road near the beach. I asked her to describe it, and she said it fit in her hand and was black and white, with a small beak. Given the recent storm conditions, I knew with some certainty that she had found a Dovekie (Alle alle), which are the smallest birds in the Atlantic puffin family. She later shared this photo with me, which confirmed my suspicion. These chunky little seabirds measure only 7.5-9 inches, with a wingspan of about 15 inches. They feed in the ocean on plankton, crustaceans, small mussels, and occasionally, fish. 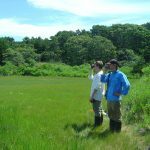 On Martha’s Vineyard, we are fortunate to host wintering dovekies, razorbills, and murres who leave the arctic winter to feed in New England waters. Most of the time you only see these birds via a spotting scope as they are typically not near the shore. However, major storms can drive these offshore species inland, where they often strand on paved roads or in parking lots thinking the shiny surface is water. Occasionally, strong and sustained easterly winds can make feeding conditions unsuitable in the Atlantic, and large numbers of weakened birds will be ‘wrecked’ on land. The last recorded ‘wrecking’ of a large number of Dovekies was in the winter of 1932/33, when Dovekies reportedly rained down upon New York City and washed ashore along the Atlantic coastline from Nova Scotia to Florida. Alcids (the family group of Dovekies) are designed for diving. So, their feet are situation far back on their body. Thus, they are not able to walk well on land and will appear injured as they flap their wings trying to move towards the water. The same is true for loons and grebes. If you find a dovekie, murre, razorbill, loon, grebe, or other diving bird on land, and it has no obvious injuries, cover it with a towel to calm it. Then, take it to the nearest shoreline (ocean or salt pond) and place it next to the water. If you are transporting by car, small birds can be placed in a Paper grocery bag and larger birds in a card board box for safety. If the bird appears injured, call your local wildlife rehabilitation center. 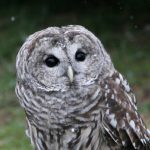 If you are on Martha’s Vineyard, contact Augustus (Gus) BenDavid at the World of Reptiles and Birds so that he can assess it for rehabilitation. Dovekie are the only species in the Alcid group to feed primarily on plankton. They find their plankton prey on the edge of ice shelves, and at ocean upwellings. They gather copepods with their large mouths under water, and their expandable throat pouch allows them to store this food. 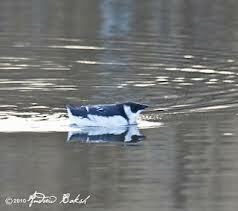 They are a colonial seabirds, with colonies numbering in the hundreds of thousands. 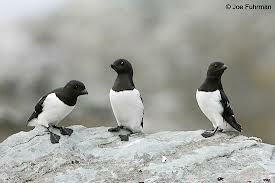 Most nest on cliffs or in boulder fields in western Greenland, and on Islands such as Baffin Island. Dovekie females lay only one egg, and the nest is a bed of pebbles in a rocky crevice. 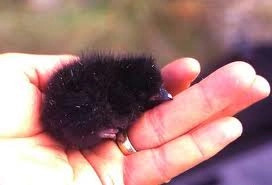 Their chicks hatch with downy feathers and are fed food the parents are able to carry in their throat pouch and regurgitate. Dovekies have different plumage in winter verses summer. They molt in a ‘formal attire’ for breeding season, where they have all black head feathers. The two photos below show both plumage patterns for this species.